Canterbury BID is responsible for enhancing the business community within Canterbury. 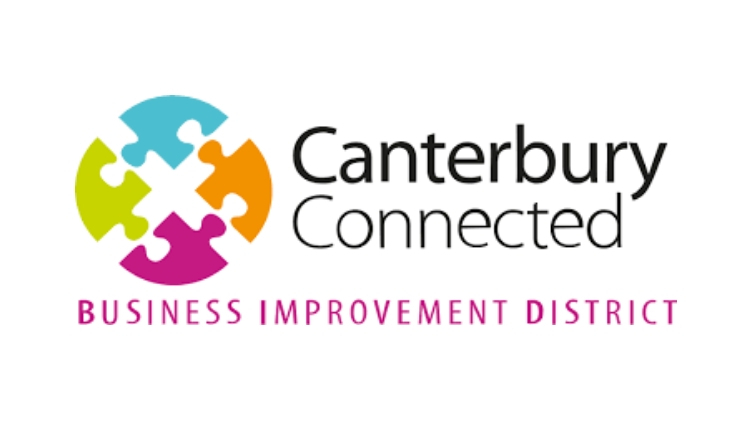 The Canterbury Connected Business Improvement District (BID) is one of nearly 200 BIDs in the UK but the first in Kent. Established following a ballot of city centre businesses in July 2014 and funded by a levy on businesses in the BID area, the BID has marketed the city and brought Christmas lights back to Canterbury, started delivering a night time deep cleaning programme, established the MyCanterbury platform as the city’s on-line presence with nearly 20,000 users locally and over 200 businesses on the app, and initiated a utility cost reduction programme for local businesses. The media resource project is a central element of action plan of the Destination Management Partnership (DMP) the BID leads in the city centre on behalf of partners including Visit Canterbury, Visit Kent, the Cathedral, the University of Kent, Canterbury Christ Church University, and Whitefriars Shopping Centre as well as the levy paying businesses in the BID area. Canterbury BID is allowing one student to undertake an internship as a Marketing and Events Assistant, which will include co-coordinating marketing campaigns, drafting weekly emails for MyCanterbury and BID, social media posting, tracking marketing campaign trends and keeping websites up-to-date. There will also be the chance to assist with the promotion and organisation of Canterbury’s Medieval Pageant and Trail 2019.